3 Hours Until Dead hits UK VOD next month. Richard Connell's 1924 short story The Most Dangerous Game was adapted for the screen in 1932 by King Kong director Ernest B. Schoedsack and has inspired many movies over the years including John Woo's Hard Target and the cult classic Deadly Prey. Now director Steven LaMorte returns to the source, adapting Connell's story for 3 Hours Until Dead, starring wrestler John Hennigan as a big game hunter who finds himself the prey when he washes ashore on a mysterious island. Michelle Taylor, Eric Etebari and Joseph Gatt also star. 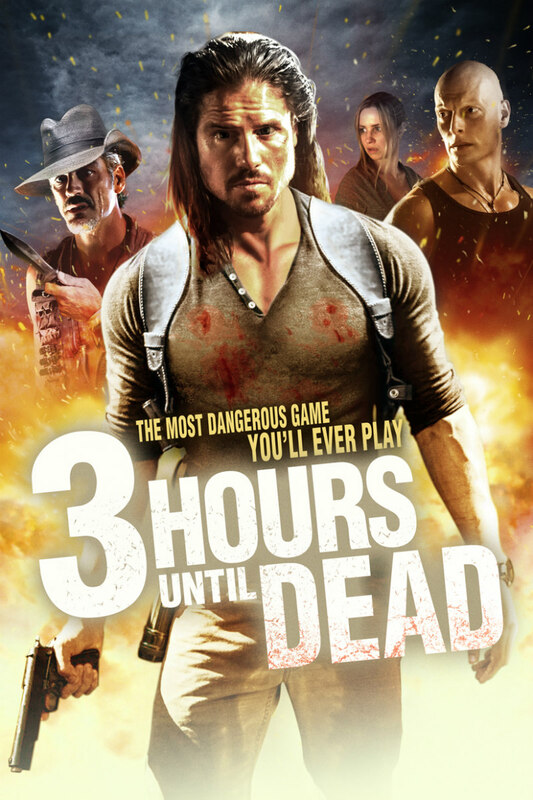 3 Hours Until Dead is available on Digital May 7th from Left Films.